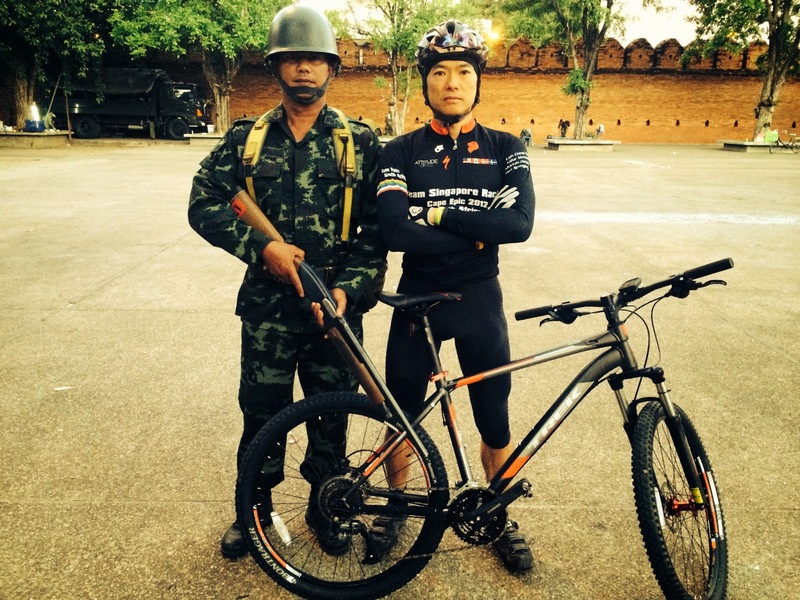 Martial Law in Chiang Mai! Day One - We woke up to the the Kingdom's 19th military coup in 80 years. But the Martial Law didn't stop the tourists, neither did it stop me from my final mountain training before the Sardenia race in June. 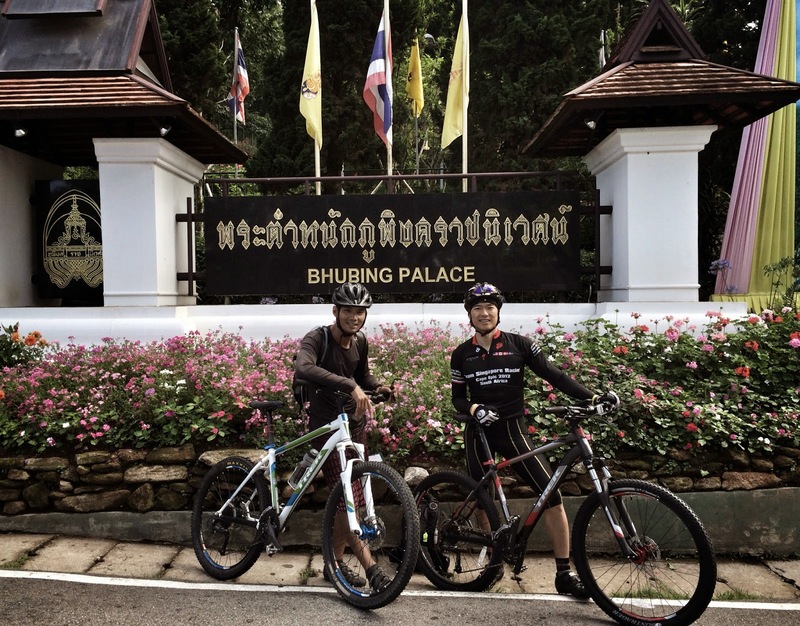 I had a hard but rewarding day with my affable guide Danai from Mountain Biking Chiang Mai. I started the ride with a bit of a struggle as Danai raced off at tempo pace. But I soon settled down after the first hour. 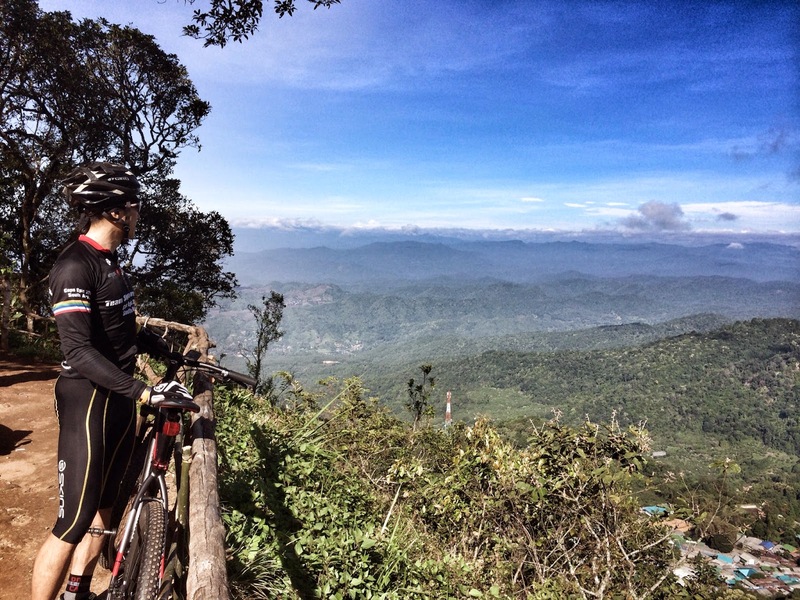 We climbed to the top of Doi Suthep summit (1,700 m) and stopped for local coffee at Bhubing Palace. The weather at the top was much cooler, I was actually cold because of the perspiration. 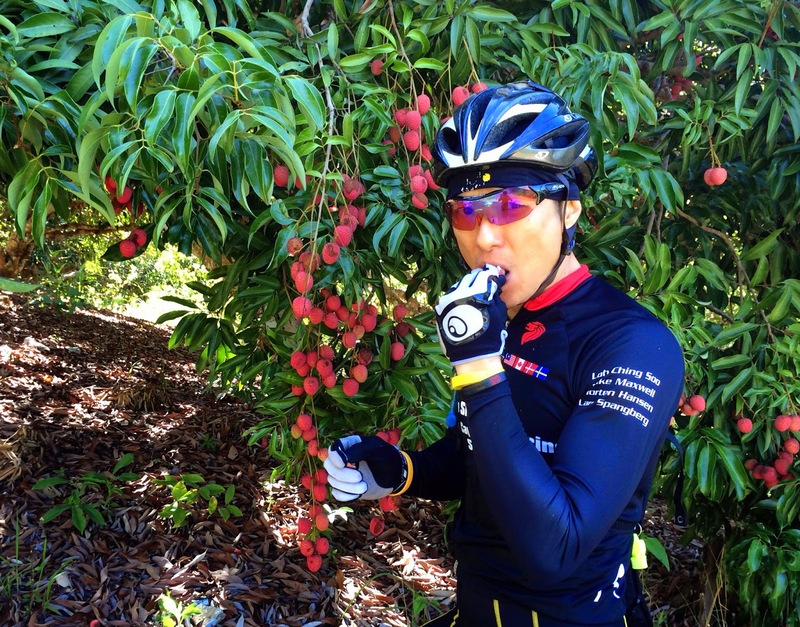 Along the way, we plucked lychees for quick sugar fixes through Hmong villages, and then a final climb up to Doikum Temple for a spectacular view of Chiang Mai city. Day Two - Despite the military coup and curfew (10 pm to 4 am), it was business as usual in Chiang Mai. I wasn't feeling so good, down with the sniffles. 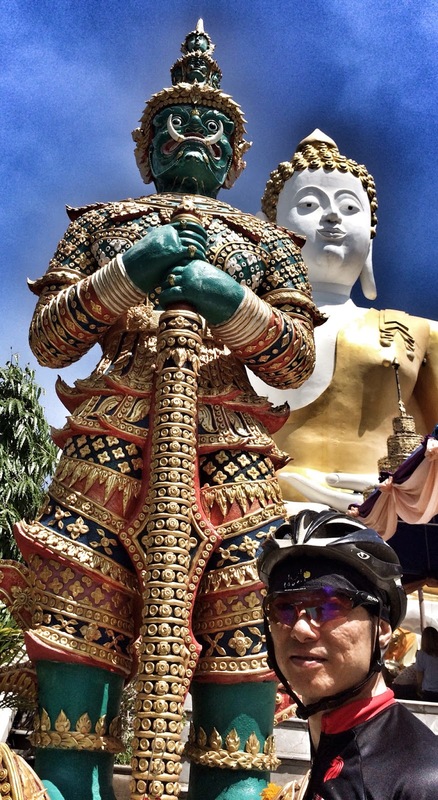 We rode up the same way to Doi Suthep and after the Suthep temple, we turned north-east into beautiful lush forest. From then on, the trails were mainly single and double tracks. But some of the climbs were painful, never ending > 10% gradient and wishing I had an even smaller granny gear. And then respite - we stopped at Bang Khun Chankean village for a much needed recovery and local coffee. Thereafter we continued on with the never ending climbs in the forest canopy, accompanied by incessant but harmless flies. The trails were super fast, but some of the ruts could swallow up a whole bicycle! Final Day - By now, my perineum was tender from the long daily climbs. As mountain bikers know, the extreme climbing stance is to position one's bottom right on the saddle nose. And today's discomfort was further exacerbated by the steep gradient. Thank goodness for the granny gear! The downhills were fast, rocky and technical, made more interesting with the hard tails we were riding. My hands and arms were burning and I had to use two fingers to brake because of the sheer fatigue. Danai sure gave me a run for my money. 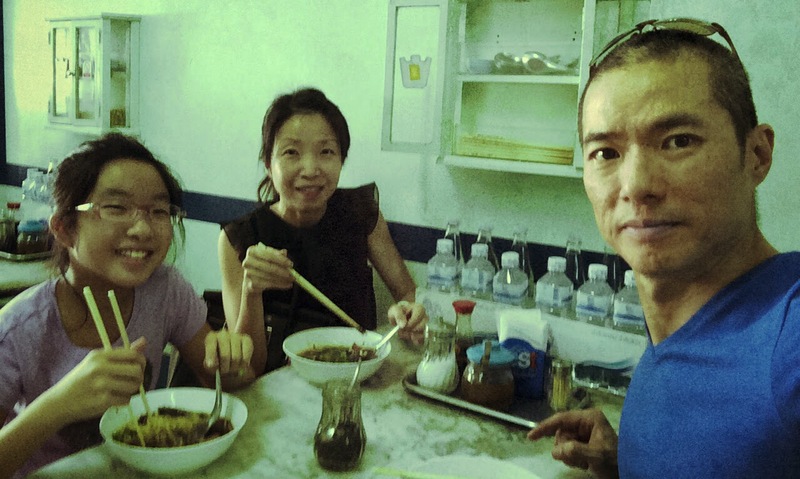 We had Rote Yiam beef noodles five days in a row!